In our latest video, Chef Luke from Alive & Kickin’ Pizza Crust weighs in on the pros and cons of making your own dough, and how to recognize when it may be time to transition to using dough balls and pre-made crusts. 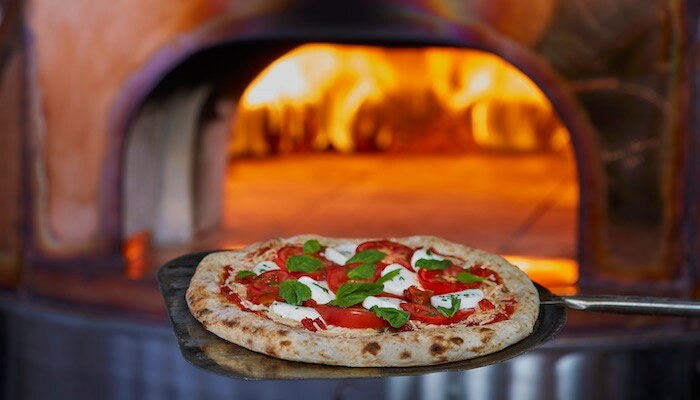 Most operators choose to make their own dough because the pizza crust is their signature element — it’s often what customers remember most about the entire pie. But, is making your own dough always the best solution? 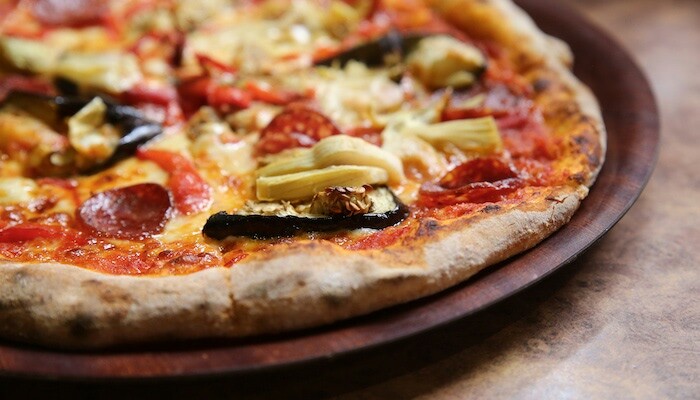 Let’s take a look at the benefits of dough balls and pre-made crusts. How do I know when it makes sense to stop making my own dough? Consistency: Many times, you have one dough maker. Let’s say that dough maker is sick, quits, gets fired or otherwise isn’t available. Now what do you do? Maybe there’s another person who can make dough, and makes it really well. Even though that dough is good like that made by the first person, the two versions are probably not exactly the same. Consistency is key. You want to have the same pizza crust every time someone comes into your location — again because it’s your signature. Labor: Making dough is very labor intensive. Someone has to come in early in the morning, or even the day or night before the dough is needed, to make the dough, round it and store it. This process becomes far less manageable as you grow and pie volume increases. 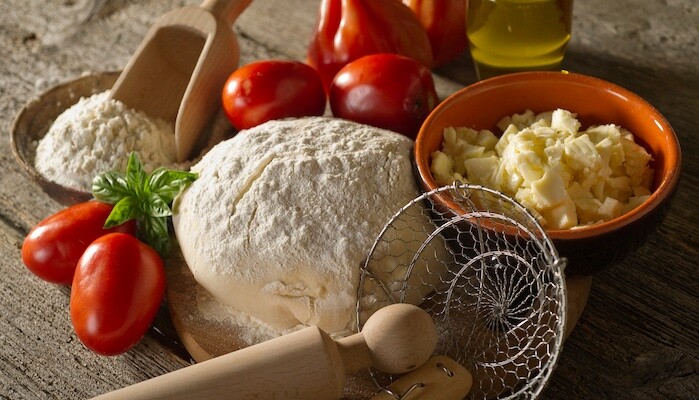 What are the advantages of using a pre-made crust or dough ball? Dough balls and par-baked crusts preempt consistency and labor issues because each crust or dough is the same every time. And, whether you’re using our stock house recipes or we match your custom recipe, they provide the exact quality you would have using your own dough. Or, you can use a pre-made crust and eliminate dough preparation altogether — all you do is simply top the pre-made crust and bake it. What’s the impact on cost and kitchen operations? Cost: Compared side by side, making your own dough or having dough balls made for you typically results in about the same cost. Space: While you lose a little freezer space by purchasing and storing frozen dough, you gain it in other kitchen areas because you no longer need to allot space for a mixer, or bulk quantities of flour, oil, salt and sugar. How do I choose a crust or dough ball manufacturer? 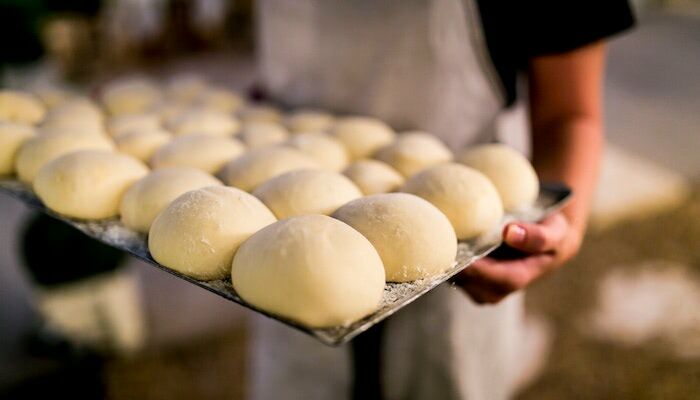 When you’re ready to start purchasing dough balls or pre-made crusts, you want to make sure you partner with a manufacturer that will listen to you, work with you, and even make your exact recipe — delivering the same ingredients, weight and quality as the dough you make yourself. Dough balls and pre-made crusts are only part of the equation when it comes to cost-effective pie prep. Track your ingredients, costs and margins with the Pizza Ingredients and Cost Calculator, an easy-to-use worksheet designed to make weekly ordering easier and more accurate. Click the button below to download your free copy.